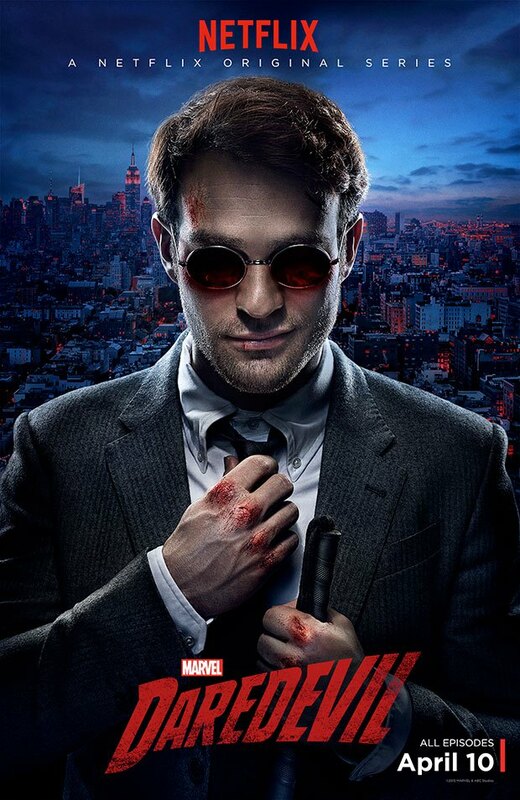 It’s Daredevil week here at Not Another Dumb Blonde and all this week I’ll be posting reviews from the new Netflix series. Everyone has their own ways of measuring what they consider to be a good television show, book or movie. There are a lot of ways to judge a series – writing, acting, directing, and cinematography. All these elements have to work together to make a series truly great. And if a series is truly great, then I believe it will fulfill two criteria. 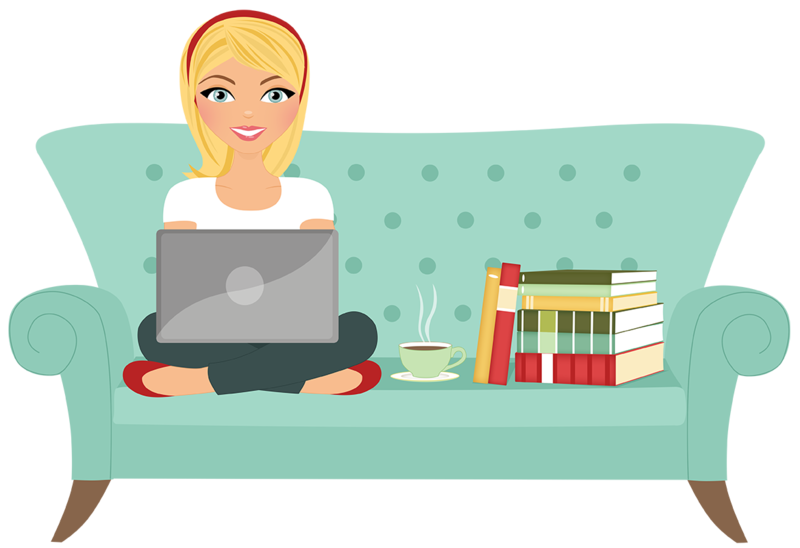 A good series will completely absorb your attention. There are so many distractions these days, with tablets and cell phones. I can rarely get through even a half hour sitcom without checking my phone at least a couple times. Then there’s Twitter – and if you follow me there you know I enjoy live tweeting shows. However, if a series or a single episode is particularly good then it will completely command my attention so much that I won’t even be able to look away from the screen long enough to fire off a short 140 character tweet. Few shows accomplish this every week, but most of my favorites have more episodes that monopolize my attention than don’t. On top of being completely engrossing, if a series is truly great it will leave you a little sad when it’s over, because there aren’t any more episodes to watch. This is especially apparent when you’re binge watching a series. Quite often this leads you to go back and start all over from the beginning almost immediately, because a really good series holds up on multiple viewings. I spent a large portion of my weekend binge watching the latest installment to the Marvel Cinematic Universe, Daredevil, on Netflix. And I must say, it most certainly fulfills both of those criteria and then some. While I hadn’t intended to livetweet the entire series – I tend to be very spoiler conscious – I did think I would end up tweeting more than I did, which was usually only once or twice between episodes. I was way too focused on what I was watching to even think about interrupting my viewing to tweet. Keep in mind, the following review of Daredevil (and my subsequent posts this week about the series) are all from the perspective of someone who has not yet had a chance to read the comics, but nevertheless is an avid fan of the Marvel Universe. I someday hope to catch up on as many comic issues as I can, but until then I still love anything and everything having to do with Marvel. Daredevil hits the ground running in the first episode, “Into the Ring” and doesn’t look back. The series begins with the accident that blinded young Matt Murdock, but it doesn’t dwell on the past too much at that point. 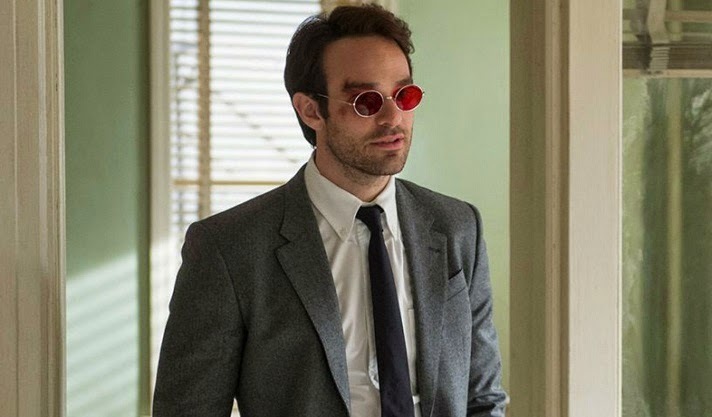 Instead, we jump to present day Murdock (Charlie Cox) confessing and seeking forgiveness for the sins he is about to commit – stopping a gang of criminals from human trafficking. By the time we see those sins a few minutes later, it’s clear that he has already taken on the mission of protecting his city. While he’s not yet Daredevil, he is clearly already somewhat experienced at being a man in a mask. The first episode, like any other pilot, is about introducing us to the main cast. The next morning Murdock is awakened by Foggy Nelson (Elden Henson) and we are introduced to Murdock’s law partner and best friend. 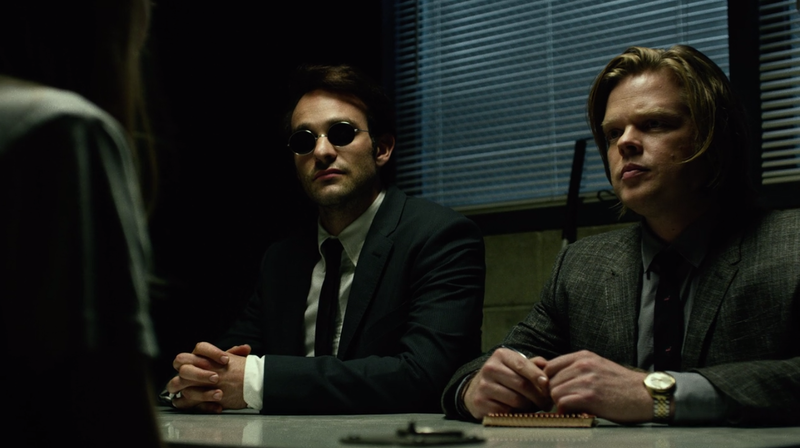 We may not yet know how Murdock came to wear the mask, but we do see the origins of their law firm, Nelson and Murdock as they rent their first office space and take on their first client – a young woman named Karen Page (Deborah Ann Woll) who has been framed for murder. Nelson and Murdock work to clear her name, and protect her from her former employers who seem to be determined to kill her after framing her for murder. Working in the background through this episode we begin to see the framework of the criminal empire at work in Hell’s Kitchen. We do not meet the man at the top in this episode, but we see that he has negotiated an arrangement among the lead criminal elements. There’s Nobu, a leader of the Yakuza, Madame Gao runs a large drug operation, Anatoly and Vladimir are Russian brothers invested in human trafficking, Leland Owsley (Bob Gunton) who takes care of the books and a man known only as Wesley (Toby Leonard Moore) who is the right-hand man of the as-yet-unseen head of the operation. Anyone familiar with the comic canon – whether you have read many of the comics or not – know this invisible head is Wilson Fisk, also known as the Kingpin. I found the choice to not introduce him just yet rather interesting. We hear his voice over the phone speaking to Wesley, but do not yet see his face. His invisible presence throughout the episode lends a certain menace to the character – you already know he exists, and is powerful, but can’t see him. It’s a good way to build up the tension and suspense surrounding this character. Near the end of the episode Karen returns to her apartment to retrieve a hidden flash drive with the files her employer does not want her to have. Exactly what she plans on doing with this flash drive is uncertain as a man attacks her in her apartment and steals the drive. Before he can get away, Murdock shows up in his mask and puts up a fight. This fight scene is the most intense scene from the premiere episode, and was previewed at New York Comic Con in October. This scene is what really made me excited for the series. The choreography is tight and incredible to watch, and it was shot spectacularly. I also loved the flashback that interrupted the scene, reminding Matt he had to get back to work. Once Matt subdues the attacker and retrieves the drive, Karen tells him it isn’t safe to go to the police so he decides they’ll just have to tell everyone. Instead of dropping the him off at the precinct, Matt delivers him to the front steps of the newspaper office, which leads to the story being exposed and Karen being cleared of all charges. As a thank you (since she can’t really afford to pay them) Karen offers to work at Nelson and Murdock. This was just a brief overview of what I thought was a very good pilot. I rarely ever judge a series by it’s pilot episode – so many are caught up in laying the groundwork and introducing characters, that they’re rarely the best episodes of the series. However, in this case this was truly a good episode (and remains one of my favorites even after I’ve seen them all). I fell in love with the cast almost immediately. At NYCC Marvel’s head of Television, Jeph Loeb told an anecdote about how Joe Quesada had come to him two years prior and told he had met Matt Murdock. When Loeb asked him to explain what he meant, Quesada said he knew exactly who would play Murdock when Marvel regained the rights to play Daredevil. It was nearly a year before Marvel did regain the rights and start working on a series, but Quesada got his wish – Cox was the man for the role. Even after just one episode (and without having read many comics) it’s easy to see what drew Quesada to Cox. He brings a humanness to the role that wasn’t there in Ben Affleck’s Murdock. Cox brings out all the complexities of the character and does it very well. I’ve been a fan of Cox ever since Stardust, and it’s exciting to see him in this kind of role. The cast wasn’t the only thing I loved about this episode. The camera shots, the editing – everything about this was well planned and well done. After months of waiting, the pilot completely lived up to my expectations and made me even more excited for the rest of the series. Stayed tuned throughout the rest of the week as I share my thoughts of the rest of the series. And if you haven’t already, go to Netflix and watch Daredevil. You won’t regret it. I started watching this series yesterday. It really does capture the attention and it got mine quickly.